How to connect to Xender Web? Xender is not only available on mobile platforms such as Android, iOS, and Windows Phone, but it is also available on your PC as Xender Web. Xender Web is an online client for which you don’t need to install any special app or do anything. You will easily be able to transfer files between your PC and mobile devices through Xender Web. You just require a PC with working internet connection and you will be able to make the transfer between your devices using the Wi-Fi connection. 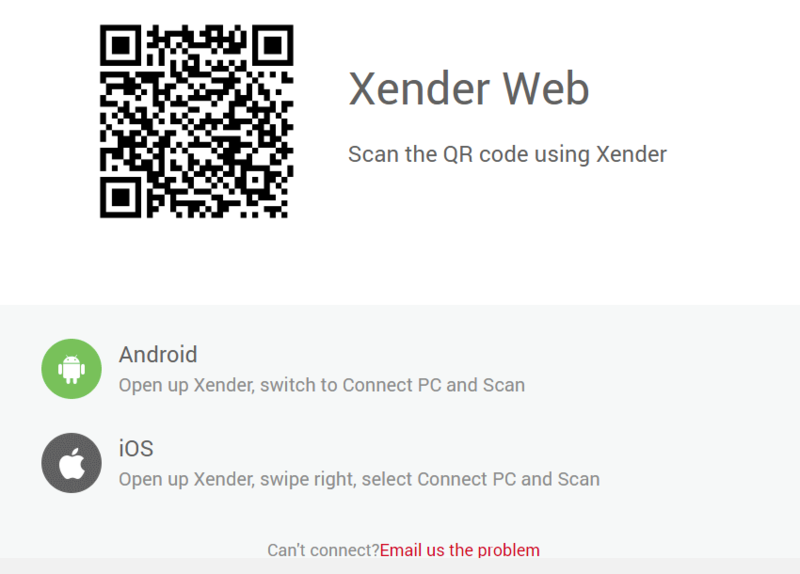 How to connect your Android device to Xender Web? Download and install Xender on your Android device if you haven’t already! Launch the Xender app on your Android. Tap on the profile picture icon at the top left-hand side of the screen. On your PC open any web browser and visit http://web.xender.com/. A bar code will be shown on the web screen. From your Android device scan the barcode on the screen of your PC. After you scan the barcode, you will be connected to Xender Web. You will now be able to transfer files between your Android and PC. How to connect your iOS device to Xender Web? Download and install Xender from App Store if you haven’t already! From your iOS device scan the barcode on the screen of your PC. You will now be able to transfer files between your devices.